While you are off work and undergoing active medical treatment, you are entitled to temporary total disability benefits, which are paid bi-weekly. These benefits are not taxable against you. 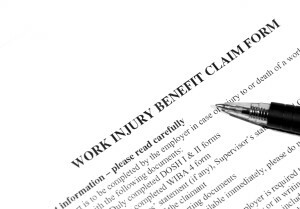 In addition, you can receive temporary partial disability benefits if you can perform some work while recovering, but are earning less than before the injury. Temporary partial disability benefits generally pertain to situations where your employer can meet your doctor’s restrictions, but can only place you in a position that results in a demotion of pay. Generally, your temporary disability benefits are calculated as two-thirds of your gross income at the time of your injury. Minimum and maximum limits are set by law. Your gross income includes all the wages you were receiving at the time of your injury, including, but not limited to, overtime, bonuses, tips, commission, and even income you were earning from other jobs at the time of your injury. Due to this complexity, a competent Inland Empire workers’ compensation lawyer will ensure you receive full payment of your temporary benefits under California workers’ compensation law. WHEN DO TEMPORARILY DISABILITY BENEFITS START AND STOP? Temporary disability payments start when your doctor states you are unable to perform your usual and customary work for more than three days, or you were hospitalized overnight. Payments must be made bi-weekly. Generally, temporary disability payments stop when you return to work, or when your doctor releases you for work, or says you have reached your maximum medical improvement. If you are injured on or after January 1, 2008, you are eligible to receive 104 weeks of disability payments within a five-year period. The five-year period is counted from the date of your injury. Generally, the exceptions to the 104 weeks maximum limit are severe burns or chronic lung disease. Temporary disability payments for these injuries can continue for up to 240 weeks of payment within a five-year period. You can also file a state disability insurance (SDI) claim with the Employment Development Department. To preserve your right to receive state disability payment after your workers’ compensation benefits stop, you should file this claim even if your workers’ compensation claim is accepted. This will allow you to receive SDI payments after the 104 weeks of temporary disability payments if you are still too sick or hurt to go back to work. If you have been injured call the Rawa Law Group APC today.